Our educators are highly trained and Certified professionals, each with a unique background of study and experience in education. In addition, our Head Teachers are certified by an accredited Montessori training program at the level they are teaching. 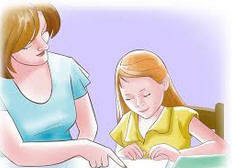 All of our teachers are also CPR and First Aid certified. Our administrators are professionals who support excellence in all aspects of our school community. They are committed to and thrive in a collaborative work environment and are dedicated to their own personal and professional development. By partnering with parents, iGrow administrators seek to help the School achieve its mission of fostering the growth and development of each child. Our dedicated faculty and staff work together to meet these goals.